Description: I was attending a meeting in a church in downtown Nashville to talk about a series of discussions on race. I had my binoculars with me, as I’d been hoping to catch my first glimpse of Hale-Bopp. In the parking lot, I scanned the horizon above the Bruton Snuff building and, finally, there it was. A security guard saw me standing there with binoculars and came over to ask what I was doing. When I told him, he asked for a look. Soon, there were a bunch of people — black, white, old, young, liberal, conservative, in animated discussion about this dirty snowball. More than anything that night, this piece of ice rushing around the sun united us. Bio: Rob Simbeck is a freelance writer. His books include “Daughter of the Air” and “American Music Legends,” and he has written about many topics for The Washington Post, Free Inquiry, Guideposts, The Griffith Observer, Birder’s World, Country Weekly and many others. He lives in Nashville. 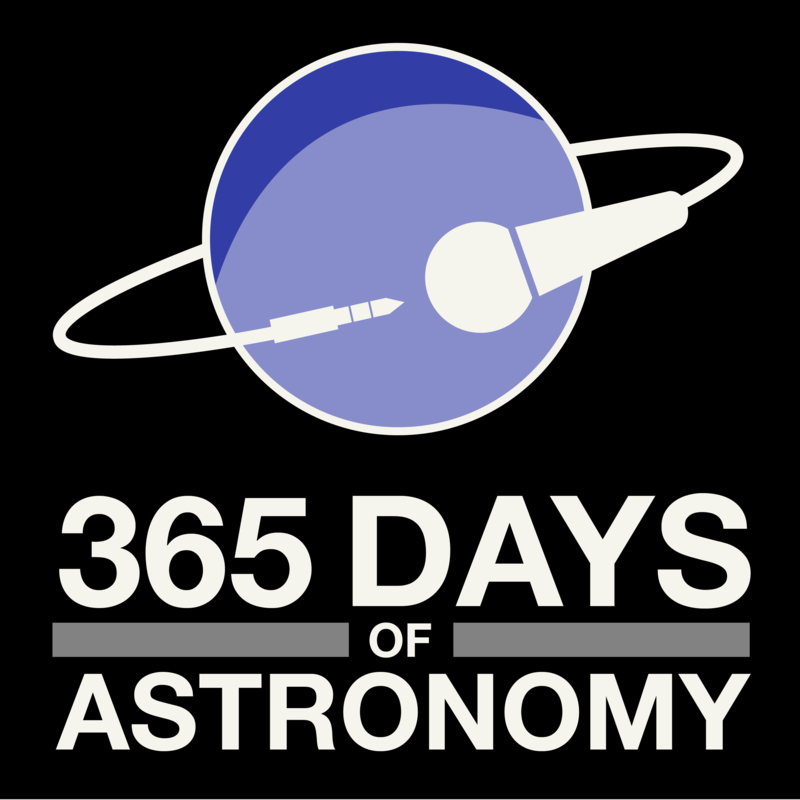 Today’s sponsor: This episode of “365 Days of Astronomy” is dedicated to Ann on her 19th wedding anniversary. The universe is not as broad as my love for you. Andy. Hi. I’m Rob Simbeck. 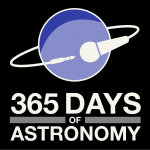 I’m here to talk about what may have been my favorite night as an amateur astronomer. It was March 11, 1997, and I was in downtown Nashville just after nightfall. The viewing conditions, as you might guess, were far from optimal. But what I saw in the northern sky wasn’t nearly as impressive as what I saw on the ground. Maybe I’d better explain. That night, I was part of a group coming together for a community meeting. A few dozen of us were the first participants in a pioneer program of study circles dealing with problems of race. We were there to talk about what we’d experienced and to make recommendations to a group that included the mayor, city council members, the press, religious leaders, and some interested citizens. The program brought together young and old, rich and poor, black and white, liberal and conservative, with the hope they would at least listen to each other with as little in the way of judgment and precondition as possible. We hoped it was an idea that would catch on, since all too often differences in how we look or think are just one more reason we don’t get along. I pulled into the parking lot just as it was getting dark. As usual, my Bushnell 10x50s were on the seat beside me. I had been following Comet Hale-Bopp, watching it in the pre-dawn skies, and it was due for an evening appearance. I got out of the car and saw a young security guard by the door. “You’re in the perfect spot to see the comet,” I told him. There were bright city lights coming from every direction, but I thought I could see it, looking like a chalky smudge low in the sky. I lifted my binoculars for a better look. Sure enough, there it was. “Here, you try it,” I said. He lifted the binoculars to his eyes and, after getting his bearings, smiled. “Wow,” he said. “What are you two looking at?” said a woman walking toward us. “The comet,” said the guard. One by one, others approached until there were 8 or 10 of us, squinting and pointing, passing the binoculars, debating just how much of a tail we could see. As new people wandered over, someone would point it out to them. There we were, a mixed group if I’ve ever seen one, watching this dirty, 20-mile-wide snowball, which seemed to be pausing for our benefit in the sky above Nashville. Now and then it would dawn on someone just what he or she was seeing, and you’d hear, “oohs,” and “aahs,” and cries of “Oh, my goodness” rising here and there like the blinking of fireflies. As they asked questions, I explained the path of the comet, and the apparent path it would take through our skies for the next few months as it raced around the sun. You could see the lights going off in their heads as they began to get a feel for this ghostly visitor, millions of miles away but wondrously real, hanging right there in front of us. For about 15 minutes, we talked about constellations, dark skies, apparent magnitude and the like. I’m no expert and the talk wasn’t very complicated, but I shared what I knew as best I could. And I realized at one magical point that our collective enthusiasm transcended the problems we had come here to discuss. We were all just people, marveling at the vastness of space and this little snowball moving through it. We were being transported from the big round rock we stood on into the wonders of the solar system around us. I was transported myself back the night when my love affair with the night sky began. I was just turning 8. My dad took me outside just after dark and we watched and waited until a bright object moved rather quickly from one end of the sky to the other. He told me it was Echo, which was a big ball of Mylar that was the first American communications satellite. He had been reading a lot about the space program and he included me in everything he was learning. Gradually we became interested in the moon and planets and the rest of the night sky, and by the time my uncle Frank bought us a telescope, we were hooked. I’ll never forget the first time I looked through that magical eyepiece and got that magnified look at lunar craters, or first saw Saturn, hanging like a Christmas ornament in the shimmering night air. My interest waned sometime during high school, pushed aside by rock ‘n roll and girls, but eventually, when I was in my early 30s, it came back. I had begun walking in the evenings and one night after sunset I looked up again. It was that simple. I bought some guidebooks and dug out that same telescope. I started with the old favorites — the moon and planets. Jupiter was sitting right in the middle of the winter hexagon at the time, and I remember watching its Galilean moons whirl soundlessly around it. My list grew from planets and stars like the gorgeous blue and gold twins that make up Albireo to include galaxies, asteroids, nebulae, and star clusters. And there were other treats. I stayed up late or got up early to watch meteor showers. I projected the sun’s image onto sheets of paper so I could follow sunspots. I tried to see how early I could spot a new moon — so far 28 hours is the closest I’ve gotten. And, of course, I watched for comets. Astronomy is often a lone pursuit. Many of us search the night sky for the wonders it holds, and most of the time, we do so alone. Those nights spent gaining new perspective on the Universe change us somehow, but it’s difficult to share that with others. How can words describe the feeling you get when you view a galaxy whose light left it millions of years ago? Or the jarring sensation that comes from realizing the nebula you are looking at is wider than the distance from the sun to Pluto? Amateur astronomy teaches me a lot of wonderful lessons. One of them is cosmic perspective, which tends to increase my humility. Another, oddly enough, is appreciation for the rest of humanity. It’s not hard to envision all of us as one when you realize that for all the real estate in the Universe, there’s only one spot guaranteed to have creatures like us. It’s the spot we’re standing on. It’s definitely made me wish we could all get along a little better. I shared a little of that with a small group of people in a church parking lot in downtown Nashville a dozen years ago and watched as they experienced some of that wonder too. Those study circles, by the way, are still going on. They haven’t solved our racial problems but they’ve helped more people broaden their outlook a little. Hale-Bopp is racing back toward the outer reaches of the solar system — it’s 2.7 billion miles away right about now, somewhere between the orbits of Uranus and Neptune. I still cast a thought its way now and then, hoping some of the people who were in that parking lot still carry, as I do, the feeling I got when that little chunk of wandering ice made our differences seem so remote and unimportant — at least for a few minutes. Rob Simbeck is a freelance writer living outside Nashville, Tennessee. His website is www.robsimbeck.com.